“Essentially we provide a platform for people to sell their outdoor gear and buy new and used outdoor gear. 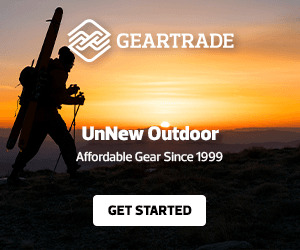 It’s a marketplace for outdoor gear. This is how it works if you want to sell some gear. 4. When your item sells we send you an email with shipping instructions. Sounds like a good system? Best part? Made in the USA, that’s right Geartrader.com is operated right here in the USA so we support the local economy all while buying and selling gear. Love that. Click here to check them out. Geartrader.com Best part two? To set up an account is free. Can’t beat that. We love good deals and to pass them to onto you. So we even gave them a little space on our site. Happy Gear Trading! 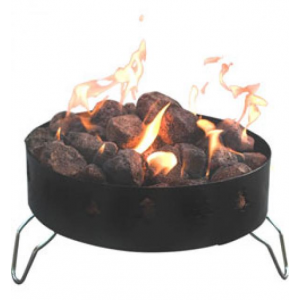 Recently I acquired this new folding Charcoal Chimney. It is the first of its kind, its very surprising that no one has made a folding chimney before. It fits in a standard 12 inch dutch oven and is very compact in comparison to its counter parts. I am going to go over the features then the experience I’ve had so far. I Recently acquired the WindPro II. A long, long time ago I use to have the original WindPro and used it a lot. But more recently I have been using my MSR Pocket Rocket for backpacking trips and my main stove. I had been missing the wider stability and the more control this stove has. If you've been hiking you know the pain and suffering that can come from rocks, sand, and stickers getting into your trail shoes; blisters, chafing, and ruined socks are common maladies. However there are a great number of low-to gaiters known as scree gaiters that are designed to block all that stuff and more, keeping your precious feet intact. This entry was tagged backpack, Backpacking, Buy, Camelbak, Camping, Fivefingers, Gear, Local, Outdoor, Outdoors, Sell, Shoes, Stove, womens. Bookmark the permalink.